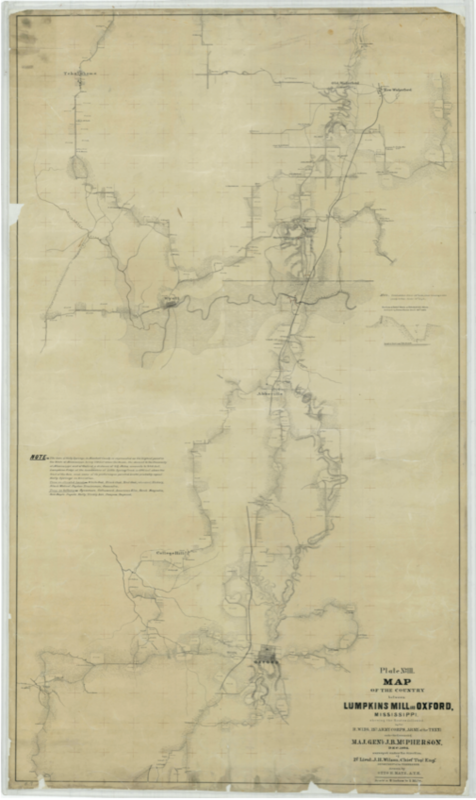 The UMSRG has recovered original maps of both campus and the Oxford-Lafayette County community. Campus maps have helped us identify several buildings that may have been used as living space for enslaved people and servants from the 1850s to the 1890s. But the search for such data netted information about the surrounding area as well. “As part of our effort to locate information regarding the original UM campus geography, members of our group have located some previously unseen Civil War-era maps that contain extensive information regarding the geography of slave holdings in Lafayette County and neighboring areas at the time of the war,” said Jeff Jackson, associate professor of sociology and UMSRG co-chair. 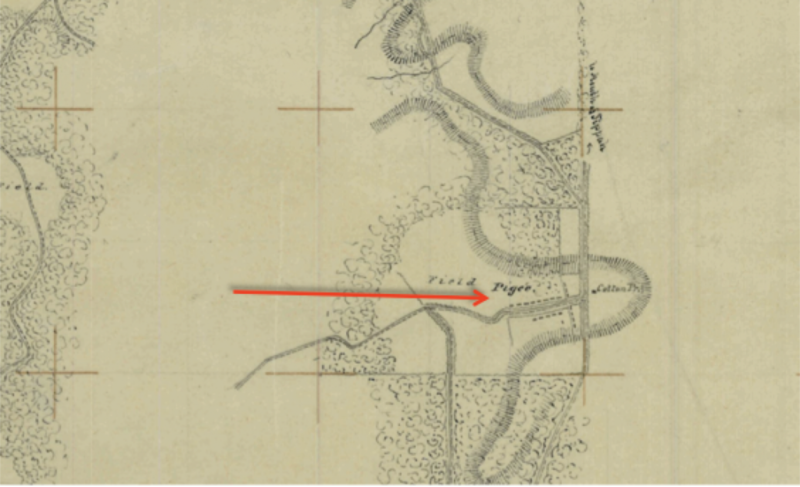 The search for the maps began within the working group and led to collaborations with community members from the Oxford-Lafayette County Heritage Foundation to discover the maps in the National Archives in College Park, Maryland. There, the group found eight maps of north Mississippi produced by the Union Army in 1862, detailing slaveholders, their homes and slave quarters in the area. “These maps represent a significant resource for researchers interested in reconstructing a deeper understanding of the relationship between slavery and the University of Mississippi,” Jackson said. 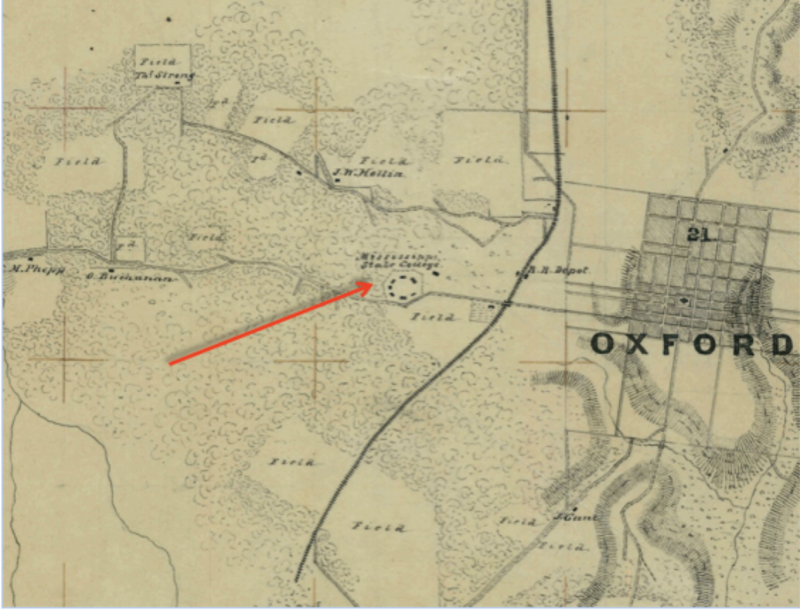 This map shows most of Lafayette County in 1862 including the town of Oxford and the University of Mississippi beginning from just South of Oxford, and going up to what used to be called “Lumpkins Mill” (now Wall Doxey State Park). It includes Abbeville, College Hill, Tchulahoma, Waterford, Wyatt and portions of the Tallahatchie River d It is also a partial mapping of many landholdings in the county and includes the names of 84 landowners listed next to their properties as well as identifying accompanying houses, “fields,” “mills,” “cotton presses,” and slave cabins. This map shows the area of southern Lafayette and northern Yalobusha counties and includes Water Valley, Springdale, Yockna Station (now Taylor), and portions of the “Yoknapatafa” River. It is also a partial mapping of many landholdings in the county and includes the names 62 landowners listed next to their properties as well as identifying accompanying houses, “fields,” “mills,” “cotton presses” and slave cabins. This map shows the area of Northern Lafayette and Southern Marshall counties and includes Holly Springs and Lamar. It is also a very partial mapping (most of the map is blank) of some of the landholdings in the county and includes the names of some landowners listed next to their properties as well as identifying accompanying houses, “fields,” “cotton presses” and slave cabins. This is a map of six counties of Northeast Mississippi in 1862: Marshall, Tippah, Tishamingo, Lafayette, Pontotoc and Itawamba. It is also includes the names of hundreds of landowners listed next to their properties. This map shows the area of southern Lafayette, Yalobusha and Pontotoc counties as well as southern Lafayette County. Includes Water Valley, Springdale, Yockna Station (now Taylor), Pontotoc, Tupelo and portions of the “Yoknapatafa” River. It is also a partial mapping of many landholdings in the county and includes the names of many landowners listed next to their properties as well as identifying accompanying houses, “fields,” “mills,” “cotton presses” and slave cabins. Portion of Lumpkin’s Mill to Oxford Map showing “Pigee” (Pegues) Field with Cotton Press and rows of slave quarters. These maps had previously not been a part of any collection in the State (including the State of Mississippi Archives in Jackson) and are now a part of the University of Mississippi Library collection.